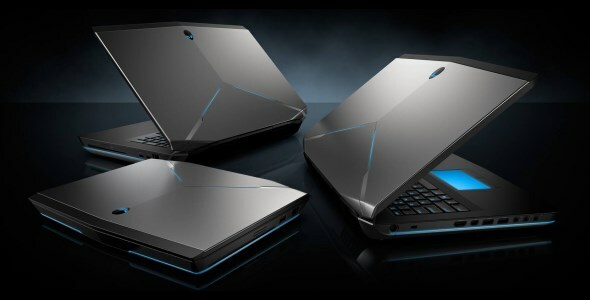 Ahead of their official Malaysian launch later today, Dell Malaysia have begun taking orders for the brand new Alienware 14 and Alienware 17 gaming laptops through their online store. In case you missed the notice, both gaming laptops as well as Alienware 18 (not available at Dell Malaysia’s store for the time being, it seems) were newly revealed at E3 2013 earlier this week. 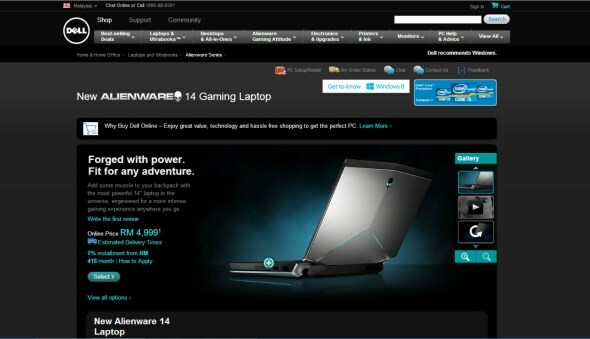 According to the listing, Alienware 14 comes as a single variant which is priced at RM 4999. 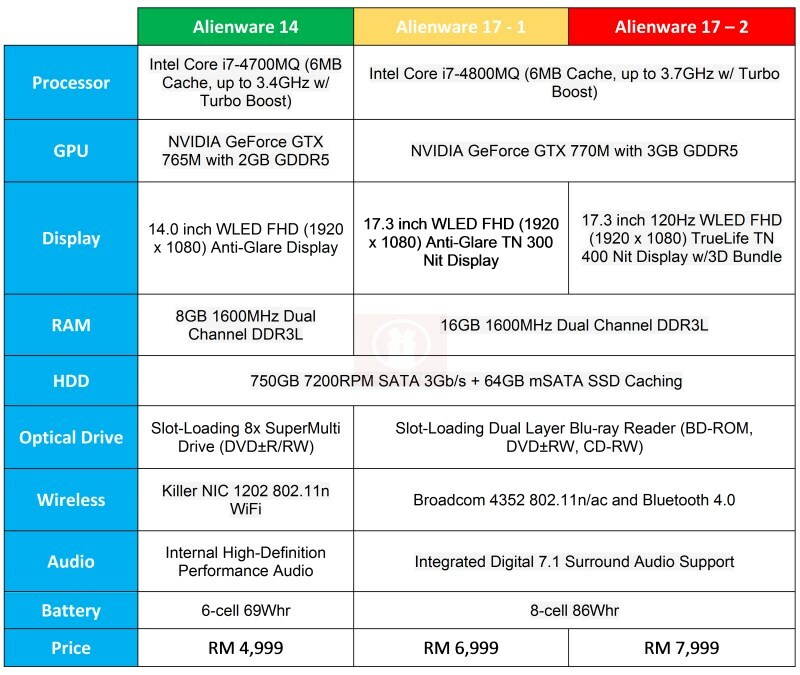 As for Alienware 17, it is available in two variants that are priced at RM 6,999 and RM 7,999 respectively. However, the only thing that differentiate the two Alienware 17 variants is that the latter is a 3D bundle which comes with 400 nits 120Hz display. Click on the Read More below to check out the specifications for all three models right after the jump and don’t forget to stay tuned for our coverage of the Alienware launch event coming your way later today.